November sparks new energy at the Historical Society. 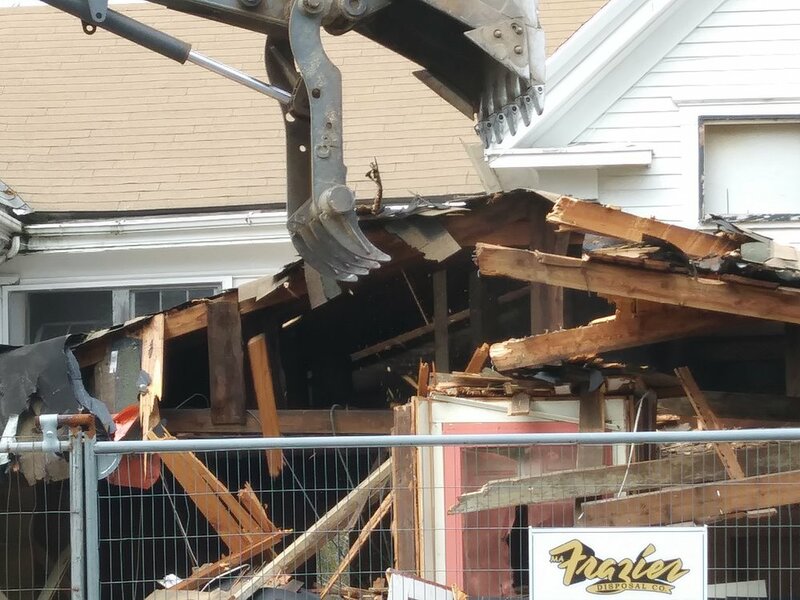 WHSM board and community members witness the backhoe jaws devour and remove the crumbling front portion of the middle section of the museum. 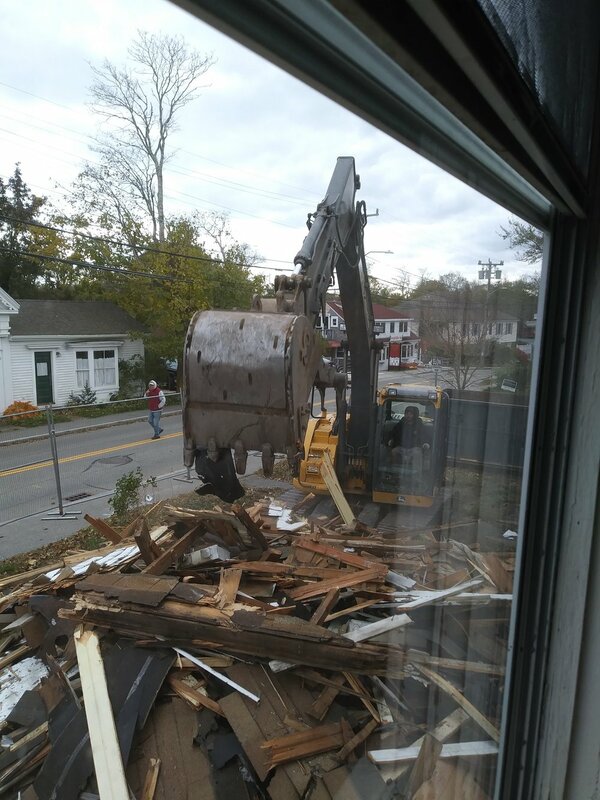 The portion that had been a painting studio for artist John Mulcahy for ages was taken down and removed. Mulcahy passed away 6 years ago this month, his paintings and personal energy are missed here in Wellfleet. The new open space and soon to be restored facade of the Historical Society remind us of days gone by. The new open space and soon to be restored facade of the Historical Society remind us of days gone by. SIGN UP TO RECEIVE NEWS AND UPDATES FROM THE WELLFLEET HISTORICAL SOCIETY. We respect your privacy and do not share your name or email. Learn more about how Wellfleet’s Commercial Street has changed and yet stayed very much the same.